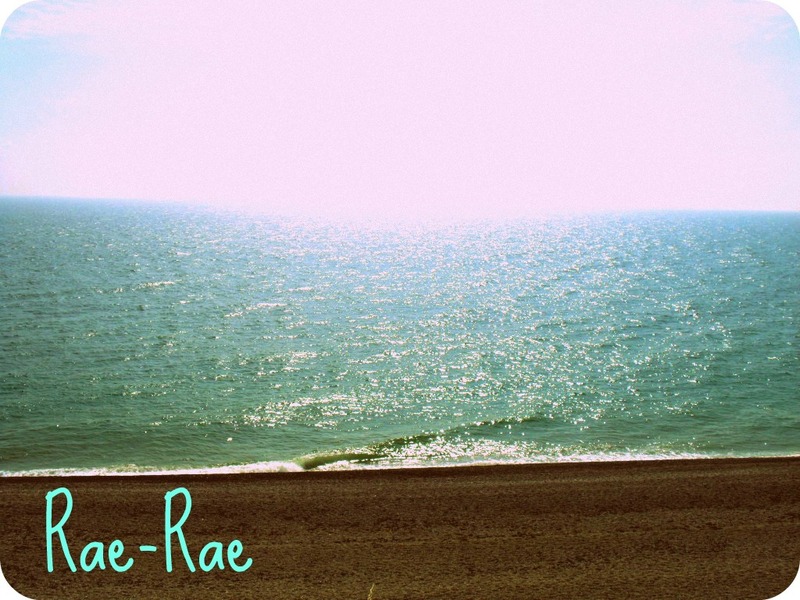 Rae-Rae: Return to The Body Shop! Return to The Body Shop! So today I decided to go a do a bit of shopping and to be honest it was mainly just window shopping just to see what was about. I must say there are some nice things about, i'm particularly liking H & M and Zara at the moment! I could spend a lot of money in both shops! Anyway I was walking past The Body Shop when I noticed they were having a sale, now I used to get bits from The Body Shop as a child (did anyone else have the animal shape soaps? So cute!) but as an adult i've never really shopped in there. Mainly due to the fact that in my hometown its really out of the way and I tend to forget it exists! So today I decided to have a look and was pleasantly surprised. The smell of the products in there remind me of childhood and birthdays, which is nice and they have certainly increased their range vastly since I last looked in there. So after browsing for quite a while I bought two products and they were both in the sale! 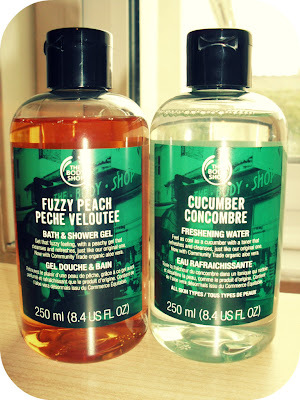 The first is the Fuzzy Peach Bath and Shower Gel which was £2, such a good price considering they are normally £4! This smells amazing, its quite sweet and reminds me of Robinson's peach squash which might be off-putting to some but I love it! It's soap free and contains peach extract and Community Trade aloe vera, so good stuff! I'm excited to use this and I think I will take it with me when i'm working at the summer school next week as its a good size to fit in my suitcase. The second product I bought was the Cucumber Freshening Water, also £2 down from £4. This is branded as a toner that refreshes and cleanses, which sounds good to me and its for all skin types, so I would imagine its quite gentle. I'll probably do a full review on this after using it for a while. Anyway this also smells lovely, cucumber is such a refreshing scent, it almost smells cooling if that is possible so I think this will be nice for hot days (if England ever sees any!!). So i'm pleased with both products, and i'm definitely going to heading to The Body Shop more often now especially when they are having sales, and if anyone has any Body Shop product recommendations i'd love to hear them! I nearly bought the cucumber toner but went for the set of naturalift cleanser, toner and face cream from the Body shop instead as turning 20 has made me suddenly very age conscious! I love the body shop, I have shampoo and conditioner from their which has banana in it and it smells gorgeous! Little shop and the dreaded flu!